A psychologist’s research in the College of Arts and Sciences is receiving backing from one of the world’s most foremost biomedical research centers. Stephen Maisto, professor of psychology, is the recipient of a five-year, $2.1 million National Institutes of Health (NIH) grant award. 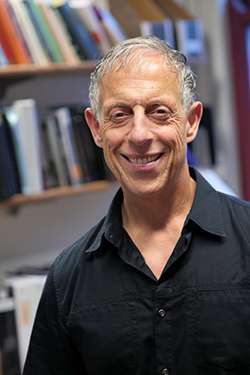 Along with co-principal investigators Tibor Palfai Jr. and Jeff Simons, psychology professors at Boston University (BU) and the University of South Dakota (USD), respectively, Maisto will use the award to study the effects of alcohol consumption and cognitive factors on decision making among HIV-negative men who engage in sexual relations with other men. Maisto hopes that his team’s research will advance the understanding of how contextual, cognitive and personal characteristics (e.g., impulsivity) affect the decision-making process. Receiving the NIH’s support also underscores the relevancy of such work, he adds. Maisto says the funding will enable graduate and undergraduate students at Syracuse, BU and USD to assist in the data collection process.